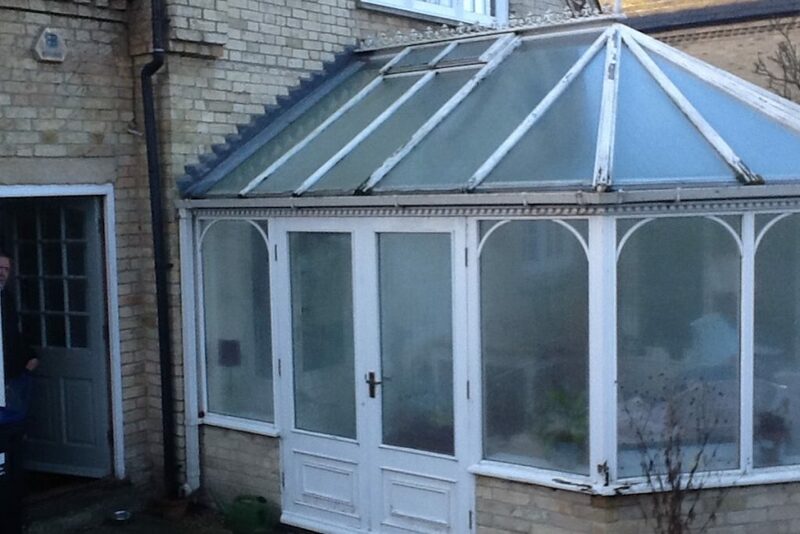 This beautiful old brick house in Dullingham’s existing tired, old conservatory had seen better days. It was completely unsuitable for modern living, freezing cold in winter, outdated and didn’t provide the connection to the garden the owners were looking for. However, the placement of the building was perfect. 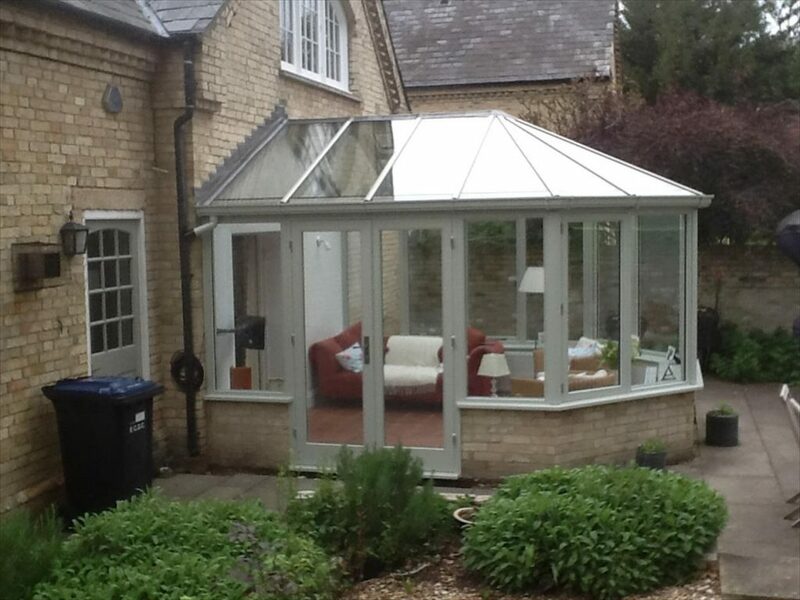 After a visit to the Cambridge Conservatory Centre, it was agreed that a complete refurbishment was the perfect way to bring this conservatory back to life. The first step was to remove the roof and existing windows and doors. Everything was stripped out and taken back to the brick base before being rebuilt. New hardwood double glazed windows and doors were installed to replace the previous single glazed rotten framed ones. 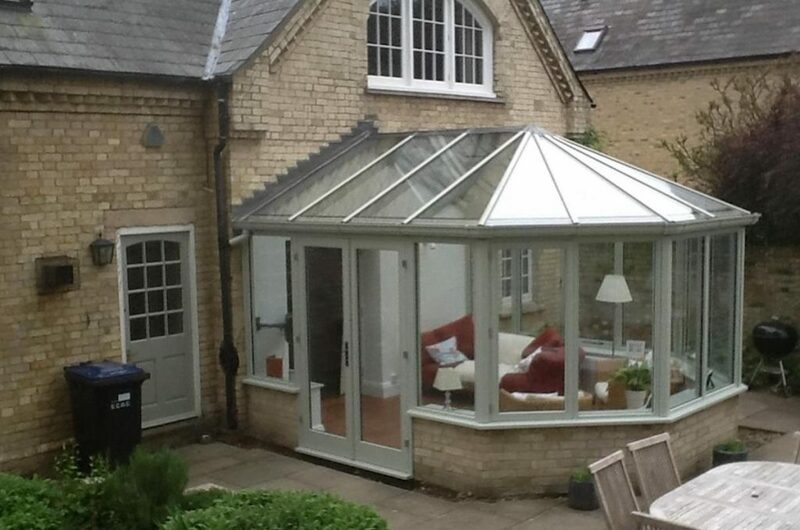 In order the owners wanted to achieve the ‘I’ve been here forever’ feel the owners were looking for, we used the slimmest metal profile available to join the glazed roof panels that run all the way to the guttering without interruption. Instead of using an ‘off the shelf’ solution, we worked with our suppliers to create bespoke detailing that would enhance and compliment this gorgeous home. In our over thirty years of experience, we’ve learned that its often the smallest details that have the largest impact. Details such as the traditional soft paint colour chosen for the Hardwood frame and the natural tiles on the floor. Details such as the galvanised guttering and glazing bars on the roof which blend with the glass perfectly to give an almost seamless look. Details such as a wide sill beneath the windows that allow favourite decorative pieces to be displayed. 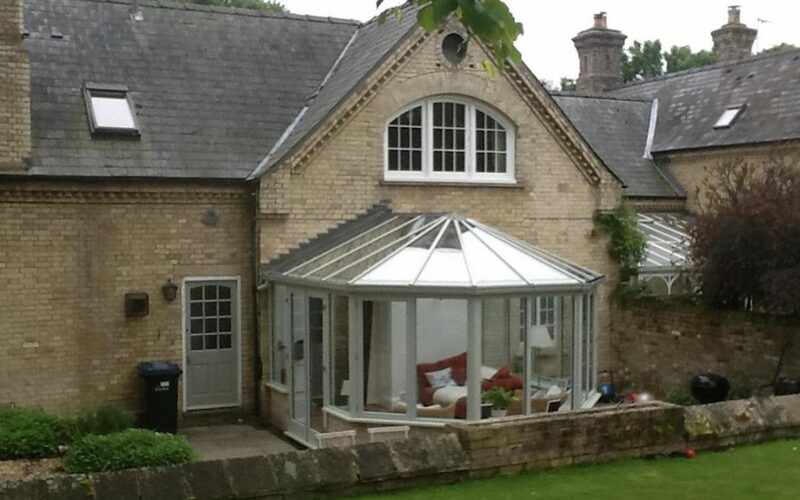 The complete refurbishment of this conservatory allows the family to bring the gorgeous old stone walls and stunning garden within reach every day.